Whether you’re an estate planning attorney, CPA, financial advisor, life insurance agent, trust officer, or some other kind of estate planning professional, you have an abundance of options available when it comes to deciding where to invest your money for products and services to help you build your practice. It can be challenging and difficult when deciding what options may be the right fit for you. Below, we have put together a number of reasons why so many of our customers decide to choose us as their go-to resource for products and services to assist them with their practice. No Annual Licensing Fees or Membership Contracts. All of our products are sold at a reasonable price with one-time licensing fees. While we do have monthly payment plans and subscriptions that you can opt into to spread out or maximize your investment, you will not get locked into any long-term contracts. Also, we are not a membership organization. This allows you to pick and choose the products and services that you need most to help with your practice, without the hassle of having to purchase things you don’t need or want! One of the best things about our products is that all of our products have been proven and tested to actually work. Our products were developed by actively practicing estate planning professionals for the purpose of successfully operating their own estate planning practices. These professionals have put the rubber to the road, so that you can be confident that you’re purchasing products that aren’t just based on theory, but on what actually works right now! We know that cash flow can be an issue for many estate planners today. This is why we want to work with you and help you customize your product selection within your budget. 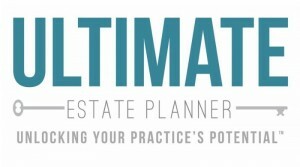 No practice or budget is too small for us, because we understand that every estate planner has to start somewhere and we would love for you to start your estate planning practice with us (or improve the one you’ve already started)! Many of our products now feature built-in payment plan options. If you don’t see a payment plan suited to your needs, simply give us a call at 1.866.754.6477 and we will see what we can do for you. While we are a small company, we have ensured to maintain the level of customer service and support we have always had in order to handle the needs of its customers. We pride ourselves in providing some of the best customer service and support available. You won’t be forwarded to someone outside of the country. You won’t be left on hold, wasting precious minutes of your time. Also, we have now built in an online chat support for your convenience and we are open Monday through Friday from 8:30am to 5pm Pacific Time and return phone calls and e-mails within less than one business day at all times. If you need some additional assistance implementing or using one of our products, we now offer a one-on-one Product Implementation Consultation. Whatever it is that you need, we want you to succeed and our goal is to get you there as quickly as possible! It is important to us that you are happy with your purchase and we stand behind all of our products and programs with such confidence that majority of our products come with a 30-Day Money-Back Guarantee (except where otherwise noted). If you are not completely happy with your purchase, contact our office within 30 days from the date of purchase and we will immediately help you—whether it’s assisting you with the implementation of a product, helping you identify another more suitable product, or giving you your money back. You can browse our website and confidently choose products for your practice, knowing that all of the risk is on us!